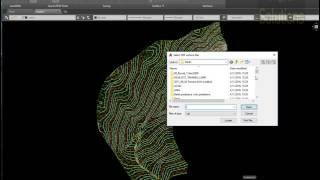 Quick DTM tools is an Autodesk® AutoCAD® based application with a focus on DTM - digital terrain model and all relevant tools that are often used with it. The app works for 30 days with full functionality. We request you to activate the product within this trial period. Please generate a request code within the AutoCAD by typing the command: QDTMTREQUESTCODE. Highlight the dialog Ctrl+C and paste it in email, send the request code to civengcadsol@gmail.com, your license will be added to the internet based licenses database and you can enjoy a perpetual license. Also there is available version of AutoCAD® for MAC, please contact for more info.